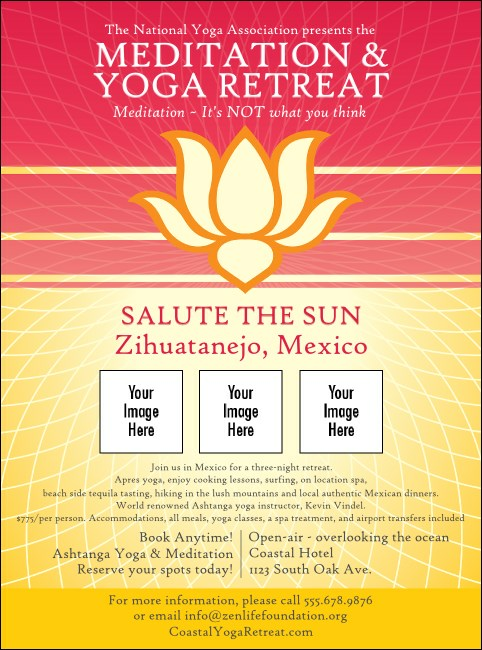 Awaken your senses with this Lotus Flower Flyer with matching event kit. The Lotus Flower design is sure to bring purity and enlightenment to your next event. Enter your event information in the template below and we'll do the rest!